Grab Single-Day Tickets before prices go up this Friday! Hurry! 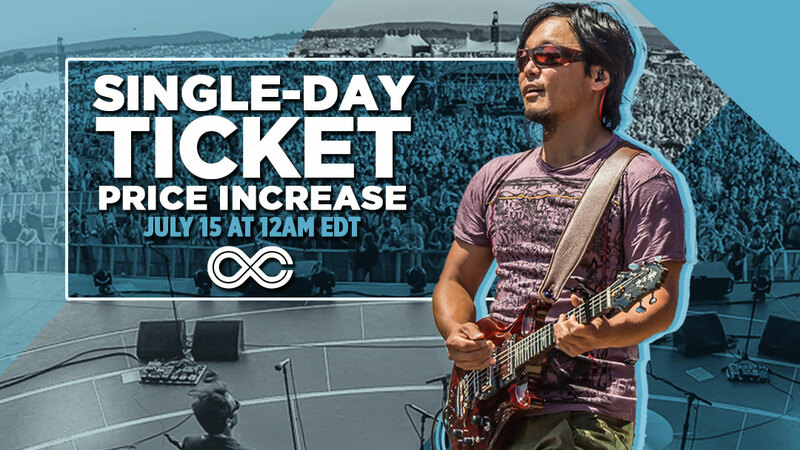 This Friday, July 14 is the last day to purchase discounted Single-Day Tickets before prices go up. Secure your ticket and get ready for the BEST four days of 2017! Don’t wait, get your tickets now! Need we say more? This year’s LOCKN’ lineup features: Phil Lesh w/ special guest Bob Weir & The Terrapin Family Band w/ Nicki Bluhm performing Terrapin Station, The Avett Brothers w/ special guest Bob Weir, Widespread Panic, The String Cheese Incident, John Fogerty, Gov’t Mule w/ special guest appearance by Ann Wilson of Heart, phil.moe. (Phil Lesh & Friends w/ moe. ), Umphrey’s McGee, The Disco Biscuits, Joe Russo’s Almost Dead, and many many more.